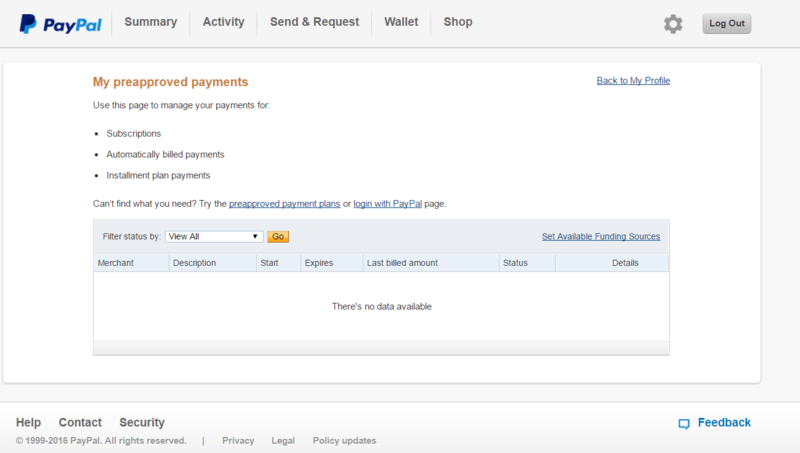 Click the account settings button (1) first, followed by the "Payments" tab (2). Finally click the "Preapproved Payments" (3) button. 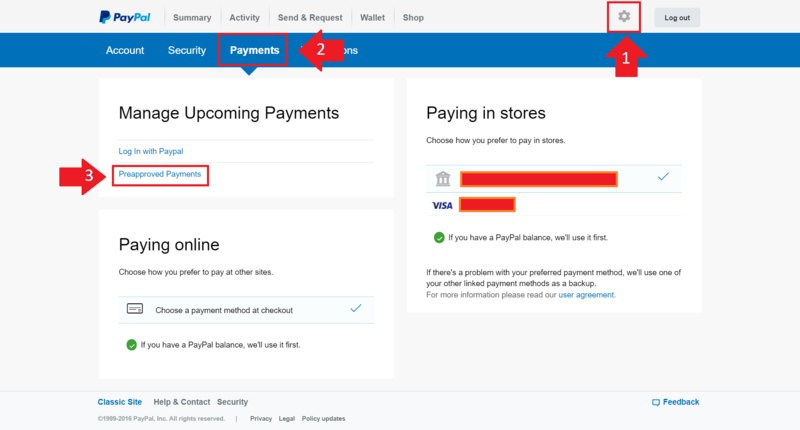 Once you are on your "Preapproved Payments" page, locate your Triberr subscription and pay any outstanding balance in full, and ensure that your PayPal account is in good standing. While optional, we highly recommend setting up a Backup Funding Account, which will reduce the chance of failed payments in the future. After you have preformed the above three steps, your account will be reverted to good standing and you will have full access once again.